The data ranges from all the places you have visited to how many steps you have taken to all the music you’ve bought and everything you’ve ever read online. The recent Facebook/Cambridge Analytica scandal raised fresh fears of privacy violation among internet users. Data from the profiles of 50 million Facebook users were used by the political consultancy firm to influence elections in various countries. And if you were shocked by how much personal data Facebook had collected from its users, you should take a look at how much data Google is collecting. It is estimated that Google has close to 9 lakh servers globally and data approximating to 10-15 hexabytes of data. For the uninitiated, this is close to 15,00,00,00,000 gigabytes (or 1,500 crore gigabytes) of data. It’s no secret that most of this data consists of personal user information. Recently, Twitter user Dylan Curran exposed how much of his information Google has stored over the years. This data ranged from all the places he’s been to since he started using Google to how long and how many steps it took him to get from one place to the next. It also included the music he purchased and all the groups he was a part of. But how exactly can you access Google data that has been stored over the years? As with Facebook data, most of this information is stored by Google even if you may have deleted it at some point. Here’s how you can access it. 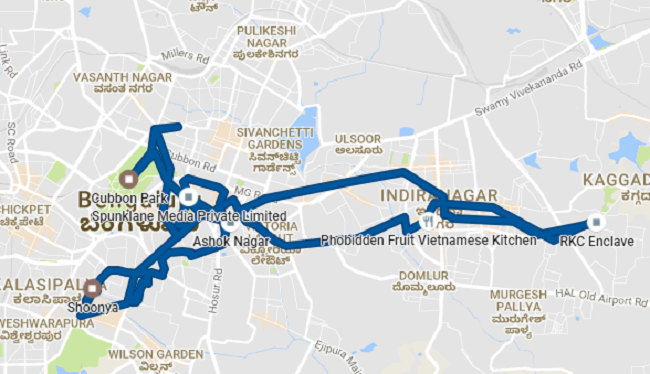 To show you just how staggering this data is, here’s a screenshot of my commute details that Google captured on March 23. Along with your mode of transport, it also records the duration of each journey and address of every destination. 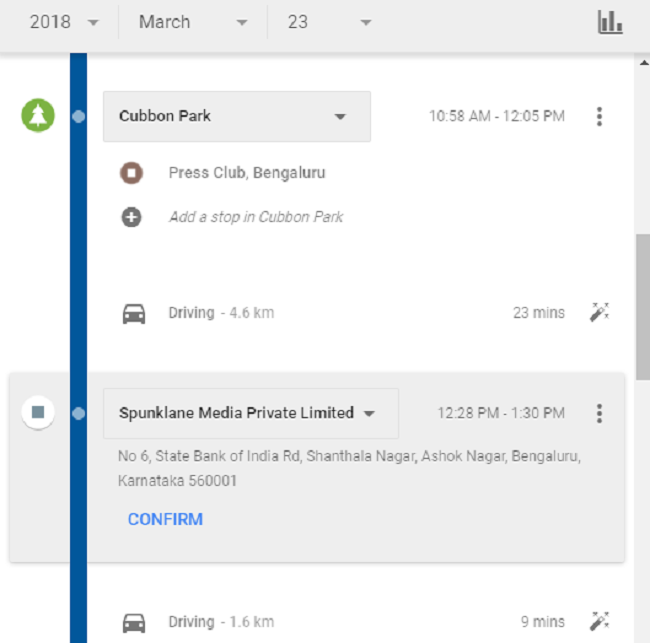 It shows that I left my home at exactly 9:53 am, sat at the Cubbon Park Press Club from 10:58 am to 12:05 pm, and was at work from 12:28 pm to 1:30 pm. Location history, however, can be turned off. While the fact that Google can pinpoint your exact location is hardly news. But what if you knew that it also maintains a log of your activities, similar to your activity log on Facebook? That’s right, Google tracks every website you have visited, every search term you have entered, every YouTube video you have watched, irrespective of the device used. As long as you are logged in, it records your data onto its servers. Just go to https://myactivity.google.com/and you will find a comprehensive list of all your activities on the Internet. The exhaustive amount of data will put your traditional browser history tab to shame. 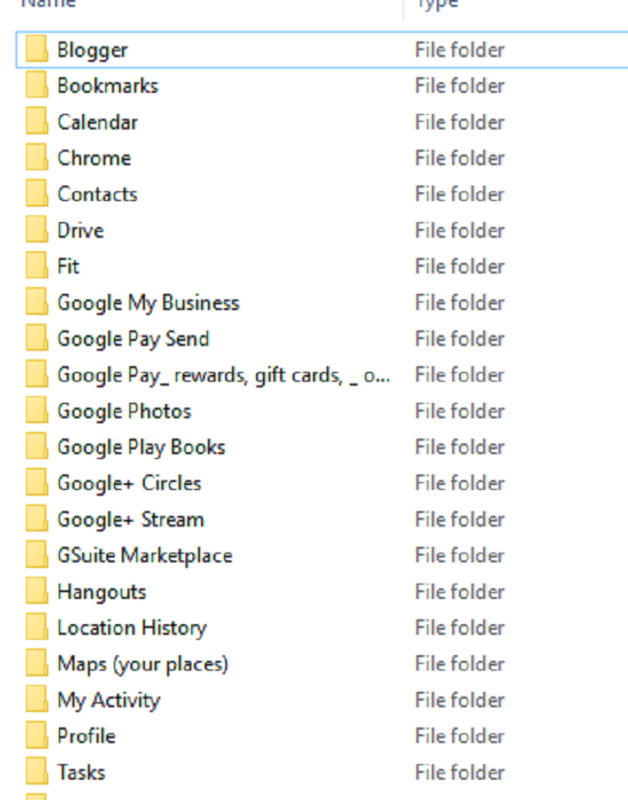 To give you an idea, this includes data from your blog posts, information stored in your Google Drive, your bookmarks, your entire phonebook, your financial transactions done on Google Pay, all your Google photos, your location history, your YouTube videos, your music history, and your Google Books among others. Google also allows you to download your entire data archive. 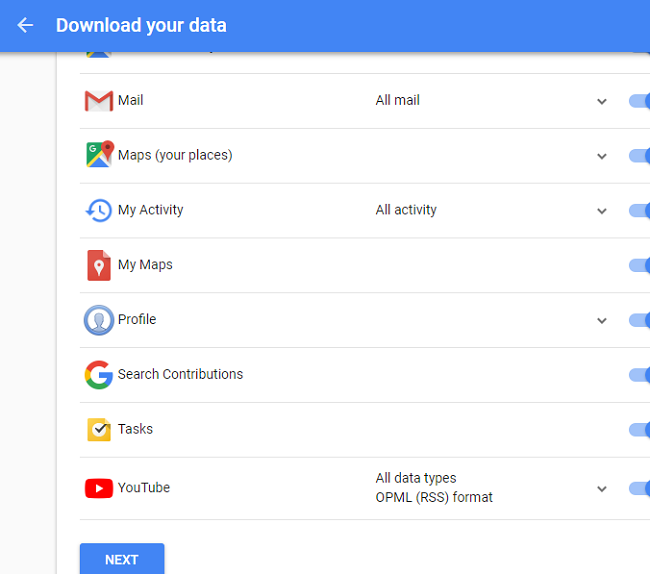 To do this, visit https://takeout.google.com/ and select the data you would like to download. Since Google is the granddaddy of our data, the archive file can be anywhere between 3GB and 10GB. The download link will be sent to your email ID. My file size was over 7 GB and it took Google close to six hours to archive the same. Opening the downloaded file will reveal all the different subfolders in which your data has been stored, and there is enough data that can be mined for months. Notably, every privacy setting on even Windows 10 is preset to ‘yes’ without the user’s consent. Hence, the next time you think about how a data leak can impact you, just remember that your entire life history is available online. All it takes is one Google password for a hacker or organisation to download it. It would be a good idea to keep in mind that wherever you go, whatever you do, Big Brother Google is watching you and recording your every move.